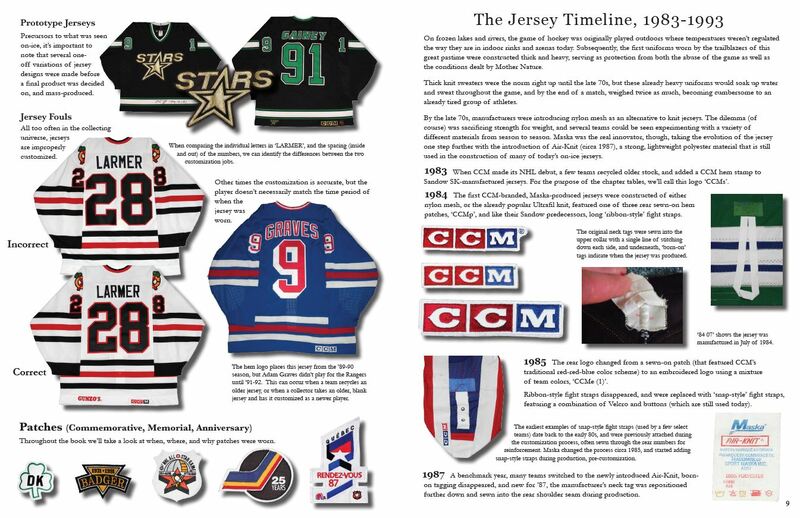 The game of hockey was evolving quickly during the 1980s, and along with it, the jerseys began to evolve just as quickly as the game itself. 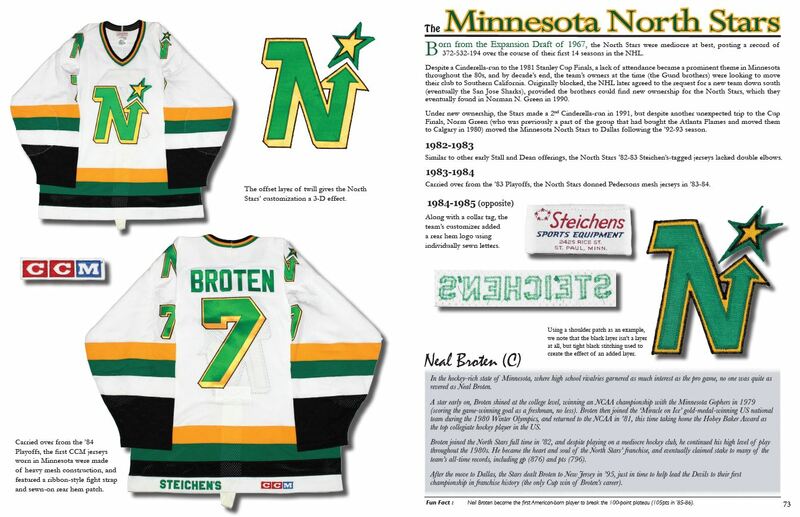 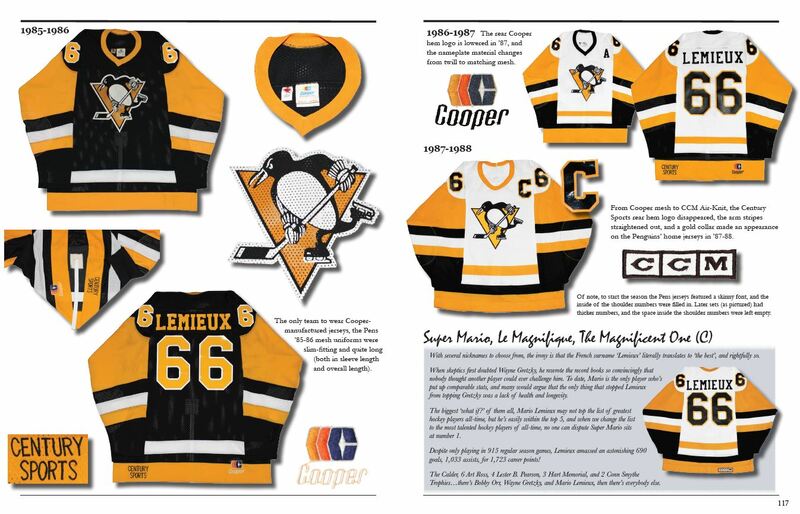 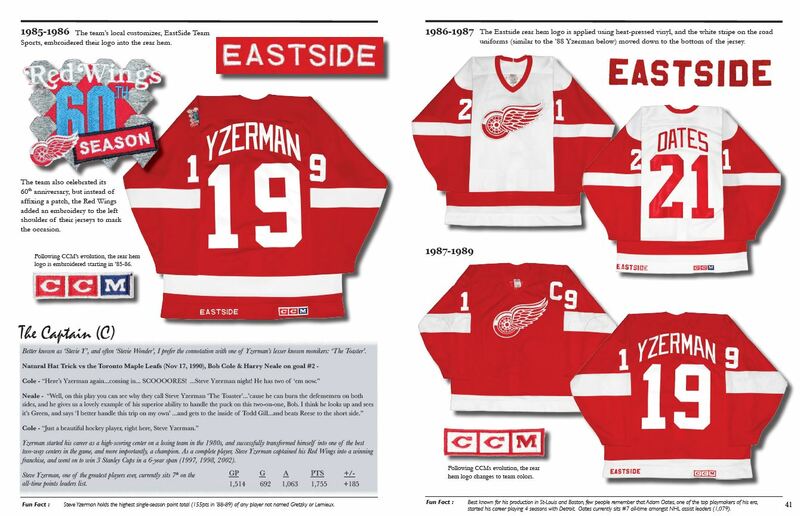 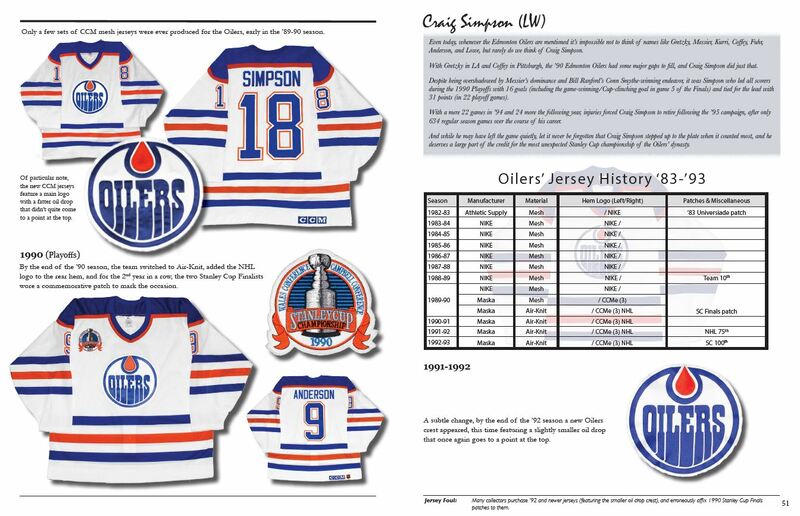 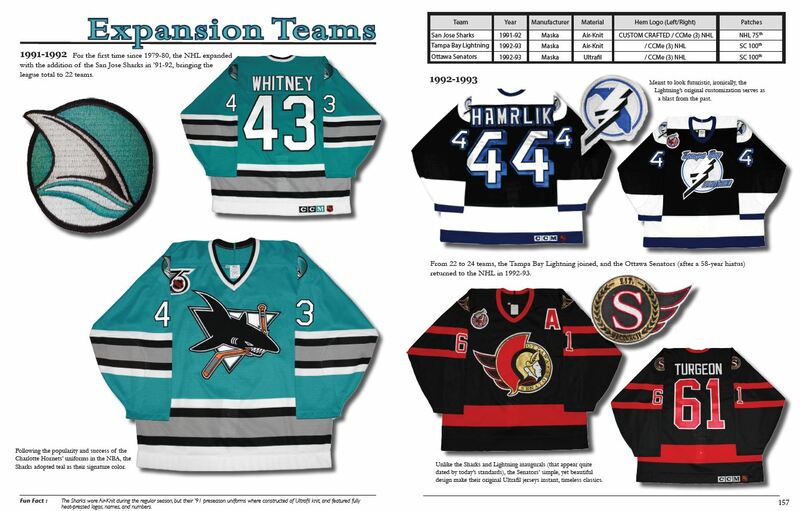 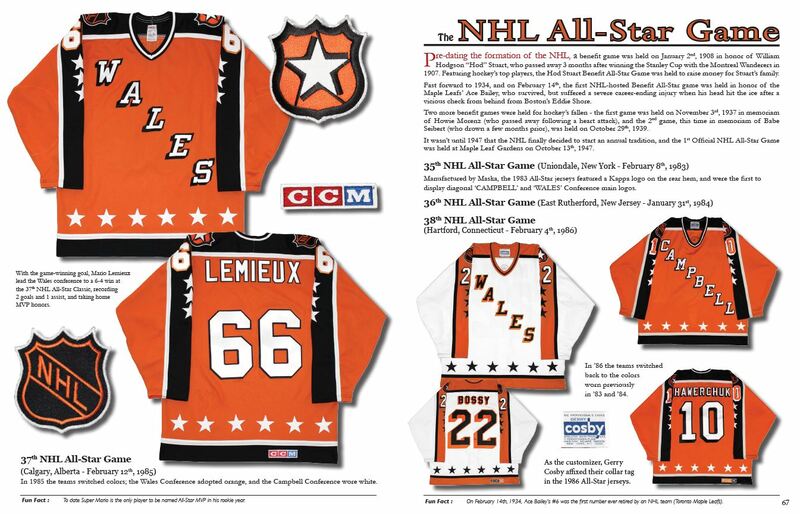 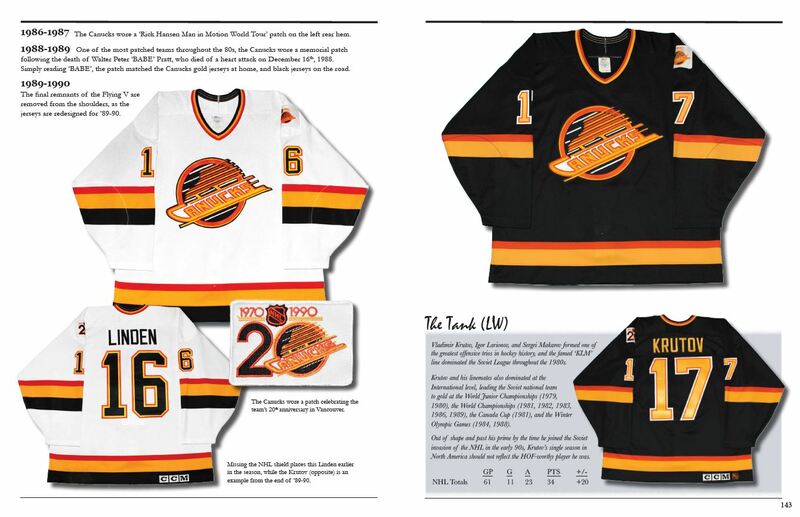 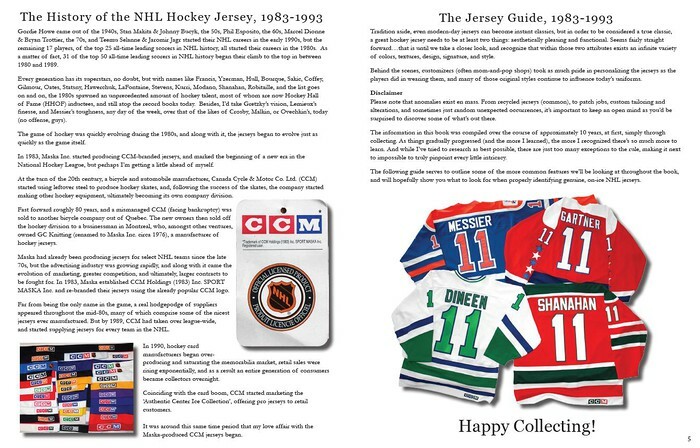 From manufacturers and suppliers, local customizers and the various themes and fonts they used, to complete redesigns and marketing strategies, ‘The History of the NHL Hockey Jersey, 1983-1993’ explores the evolution of the NHL’s jerseys, team-by-team, and takes a look at the All-Stars and Hall of Fame players who popularized them. 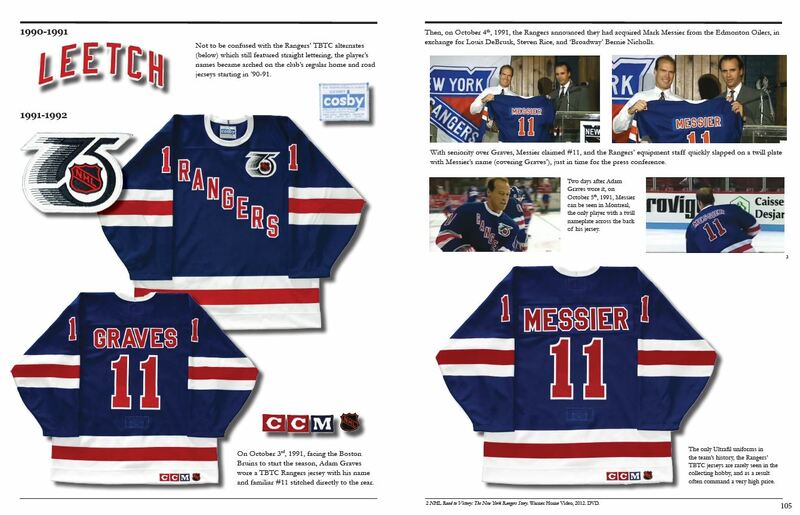 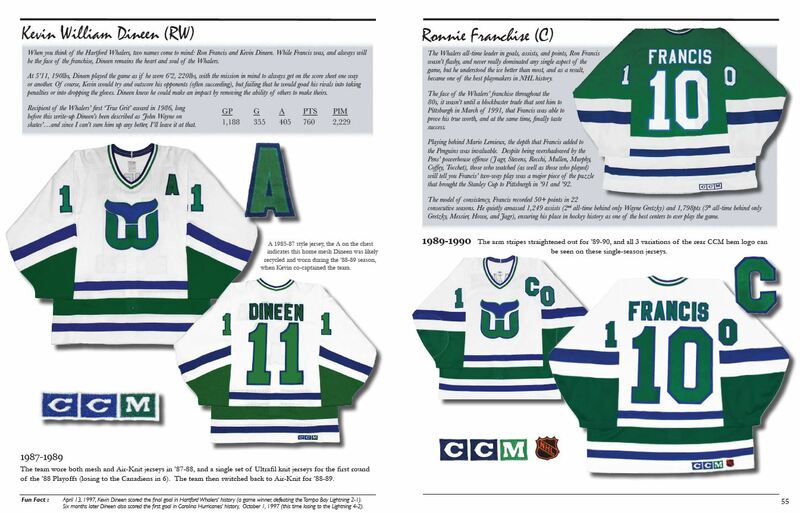 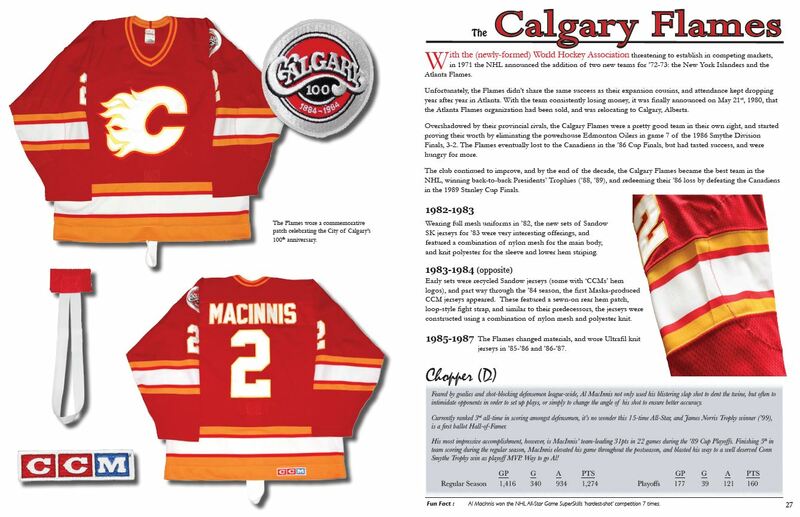 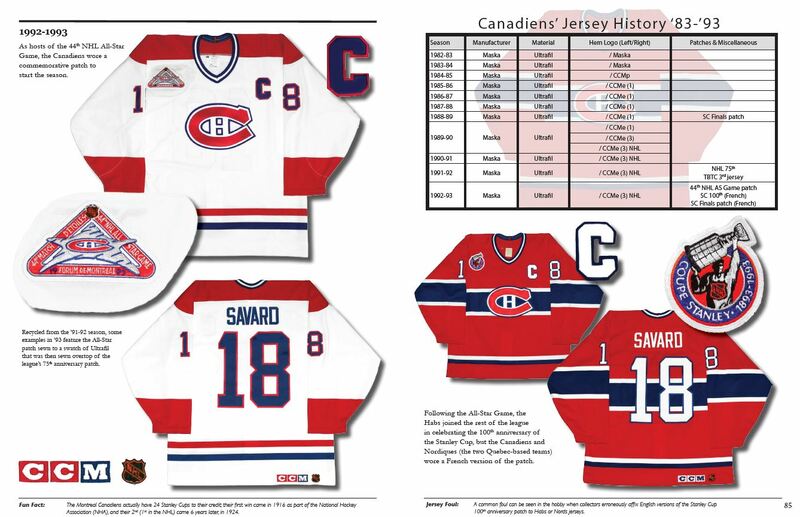 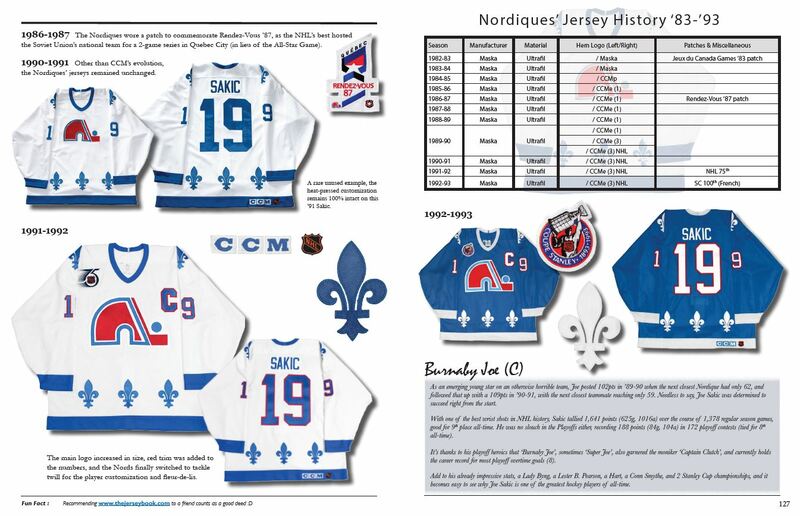 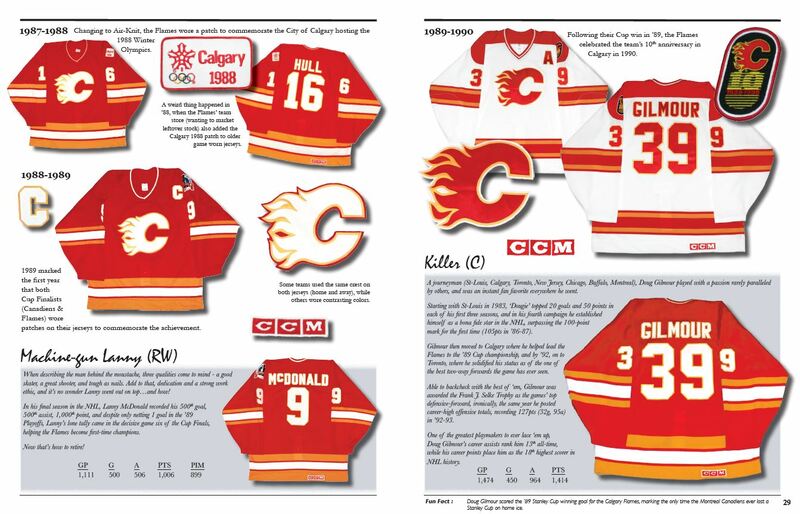 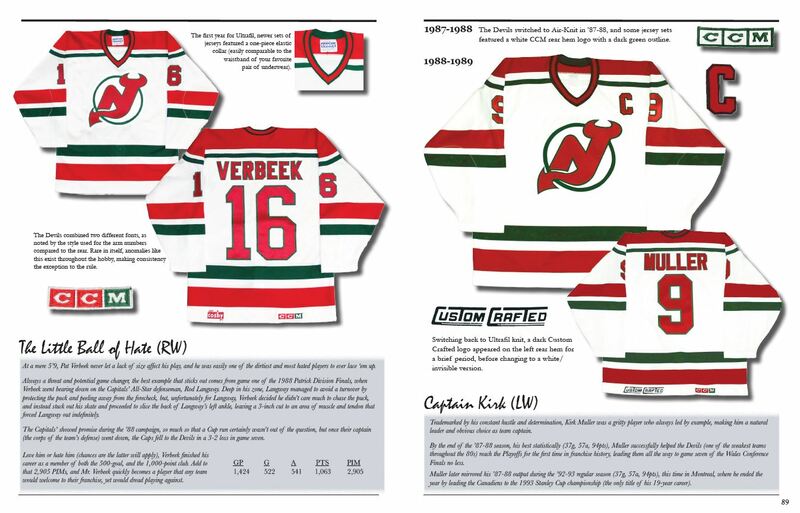 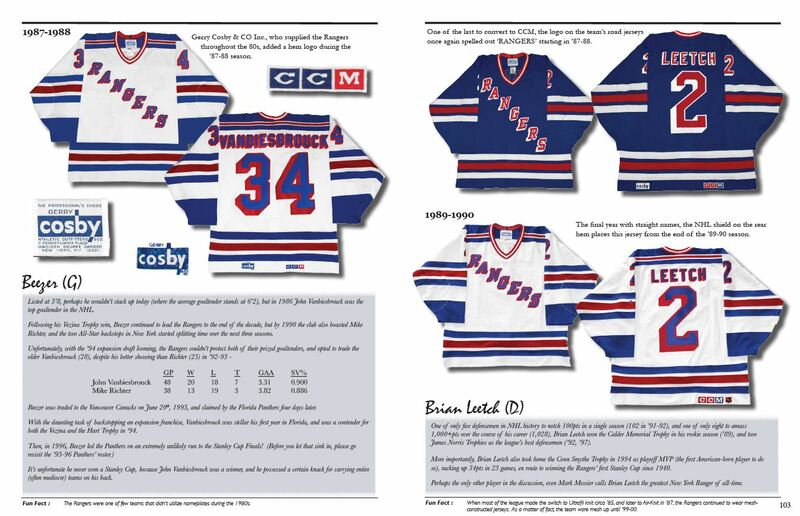 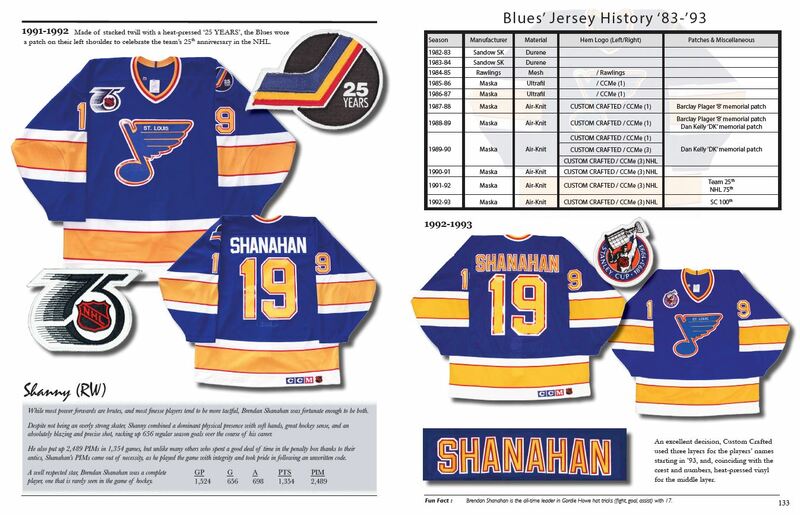 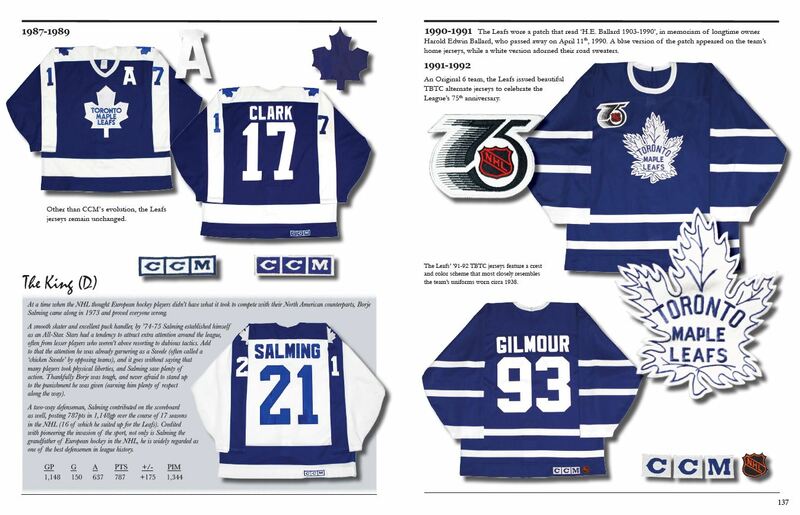 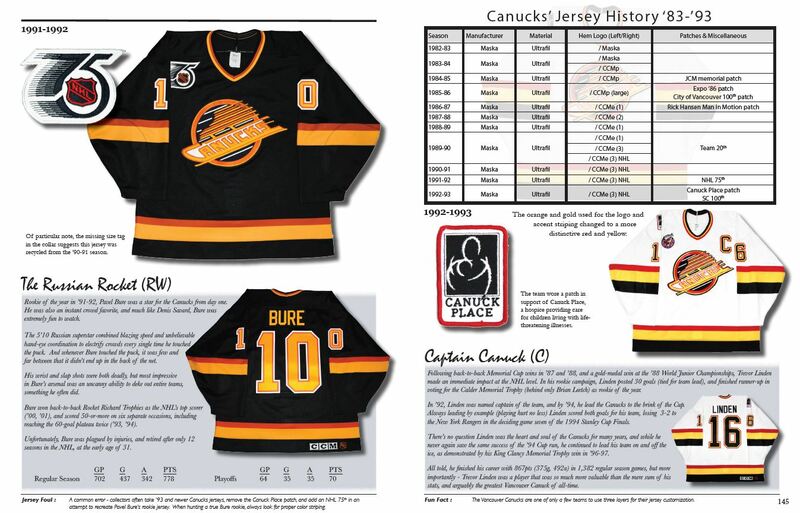 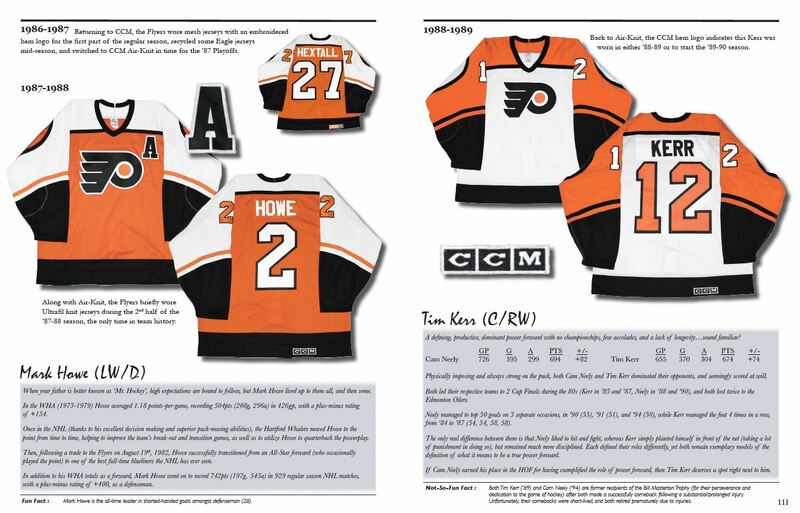 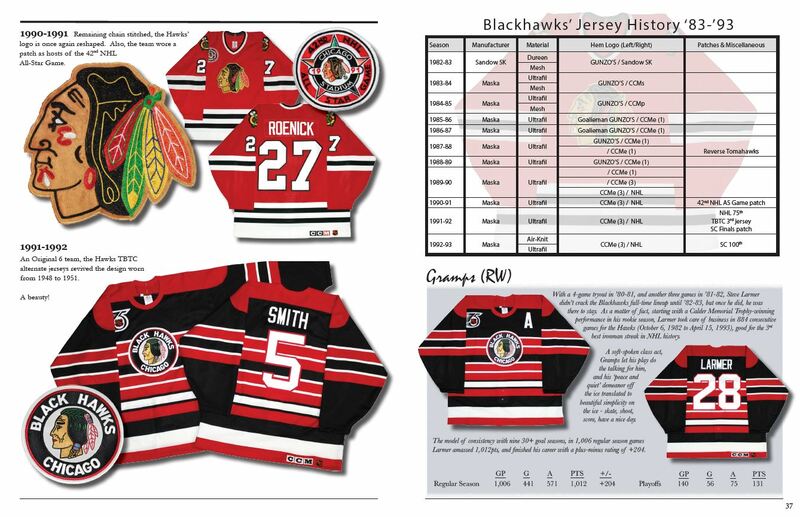 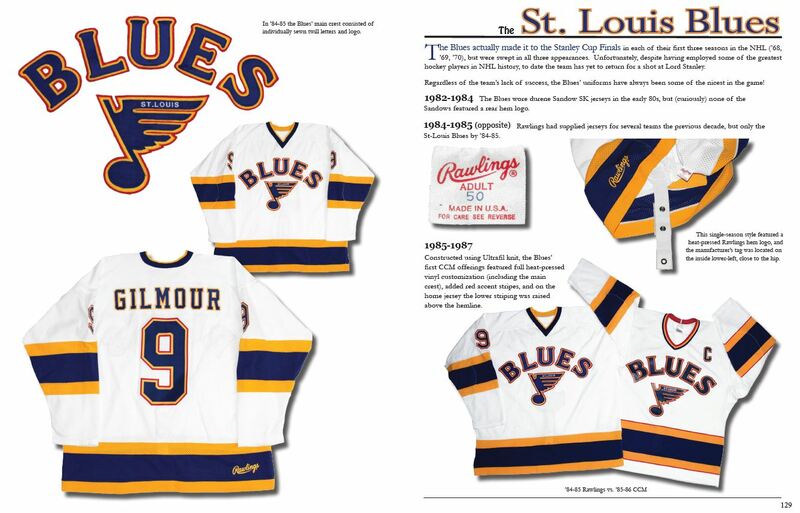 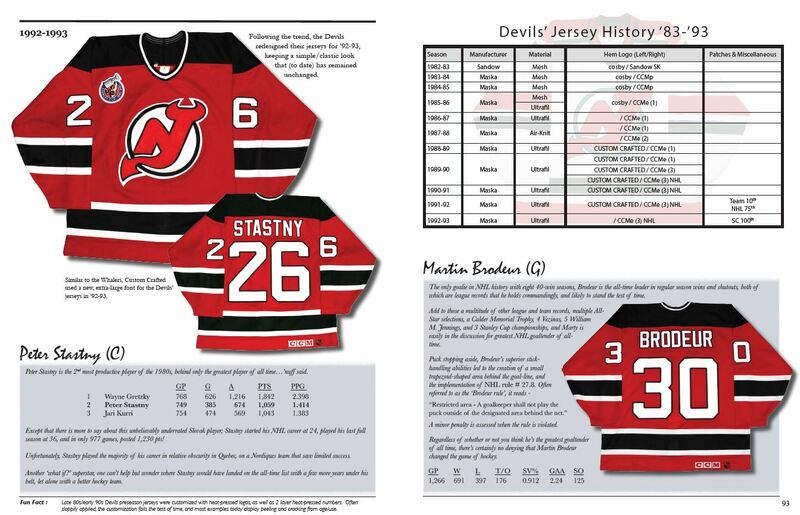 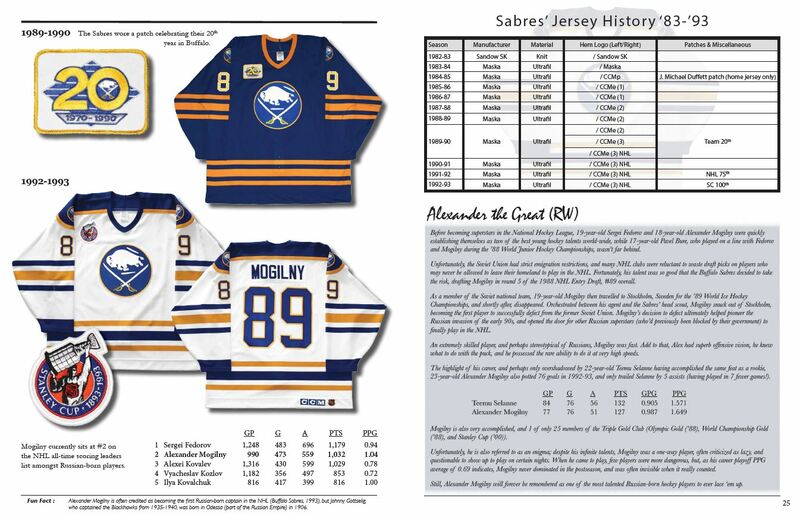 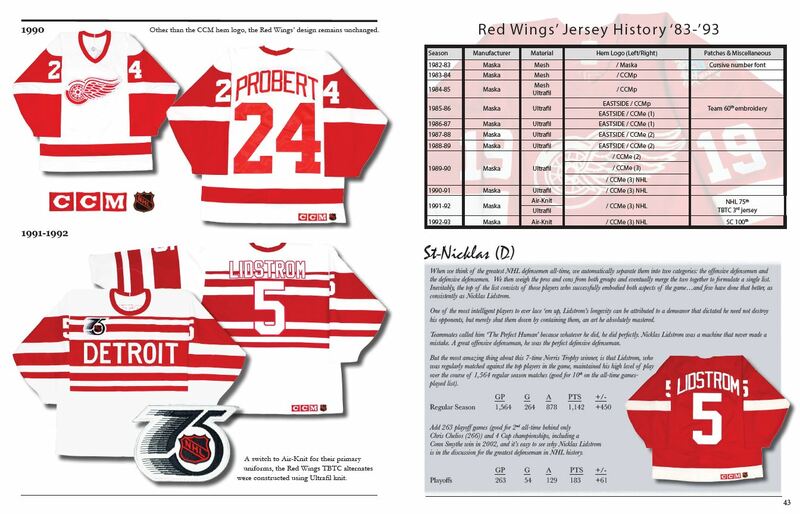 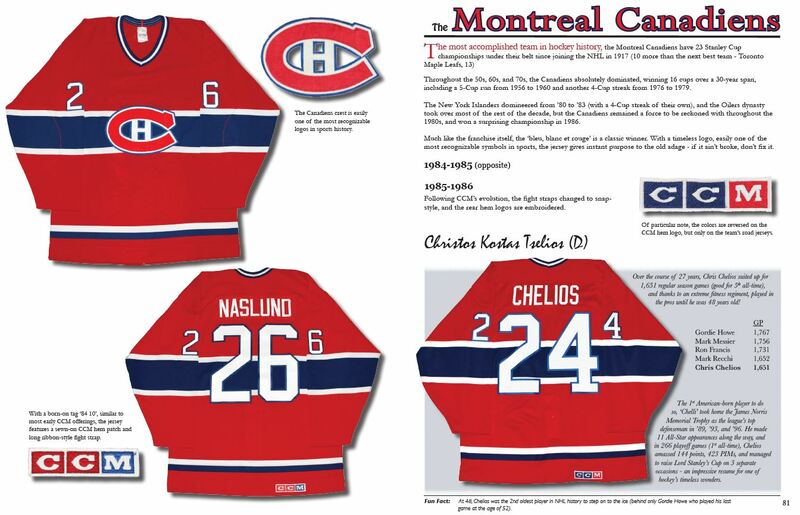 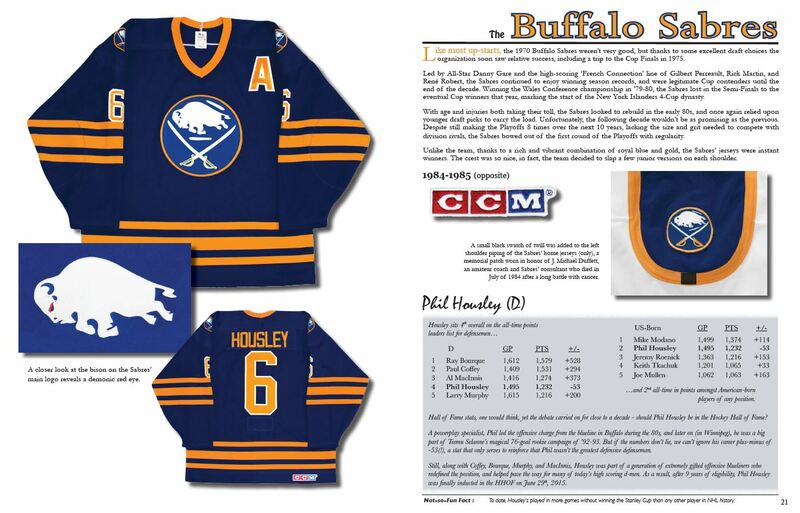 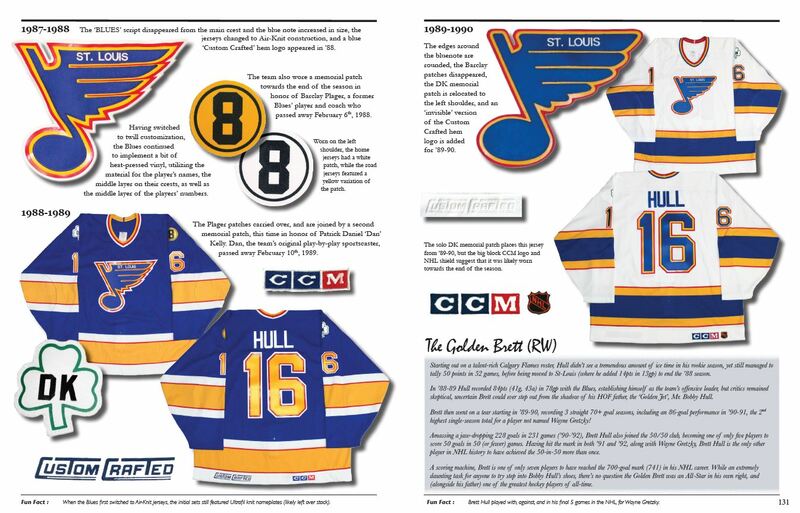 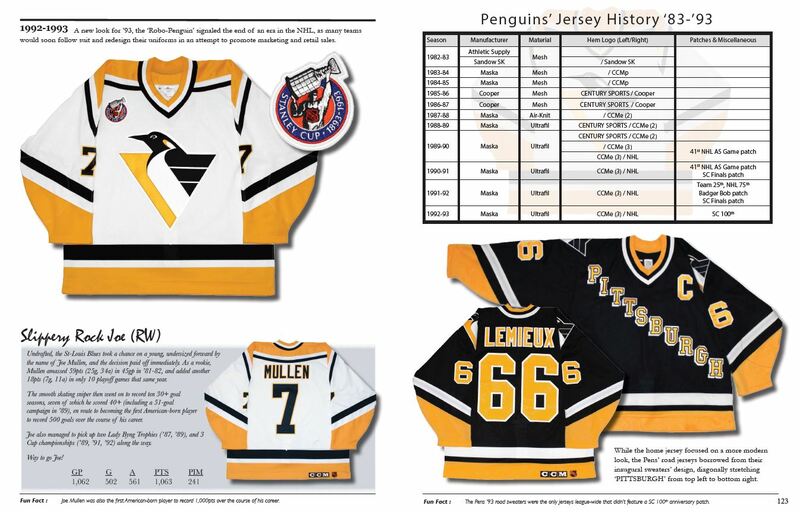 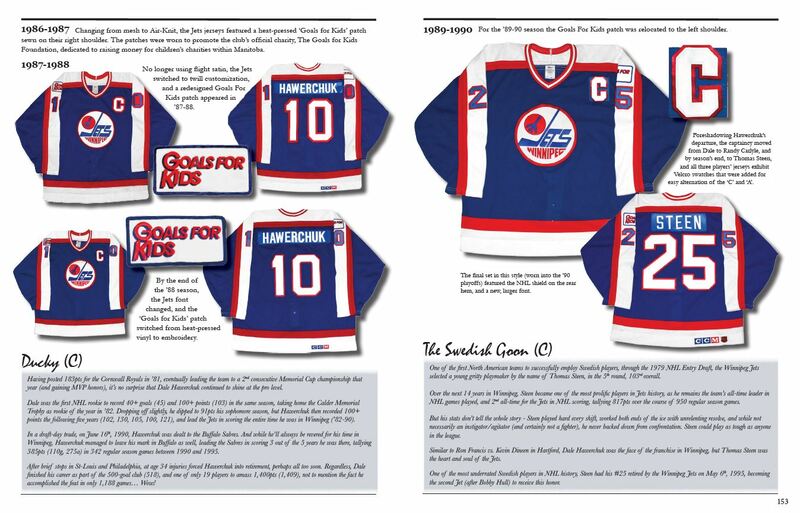 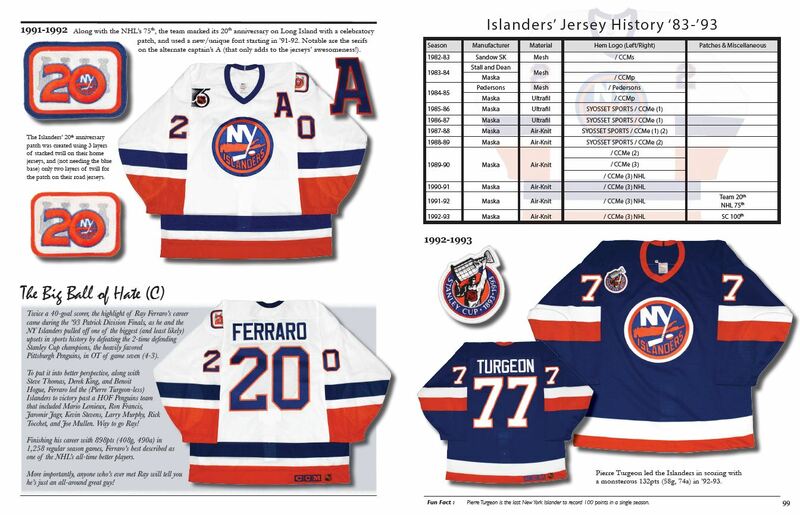 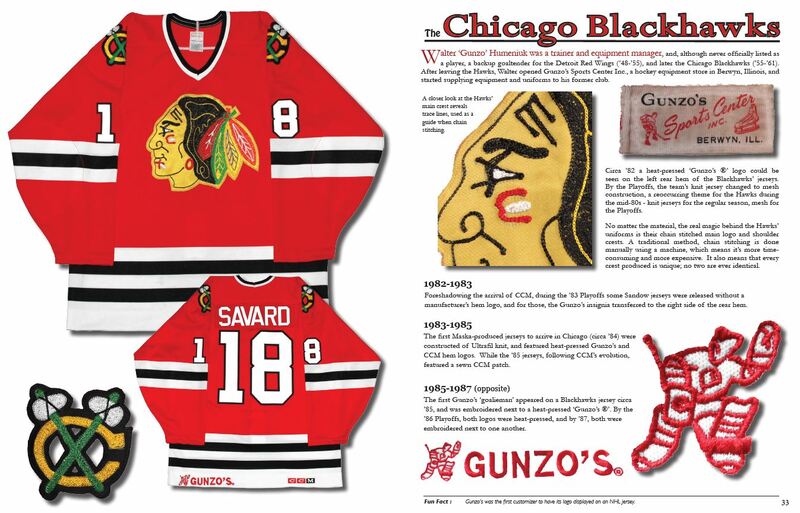 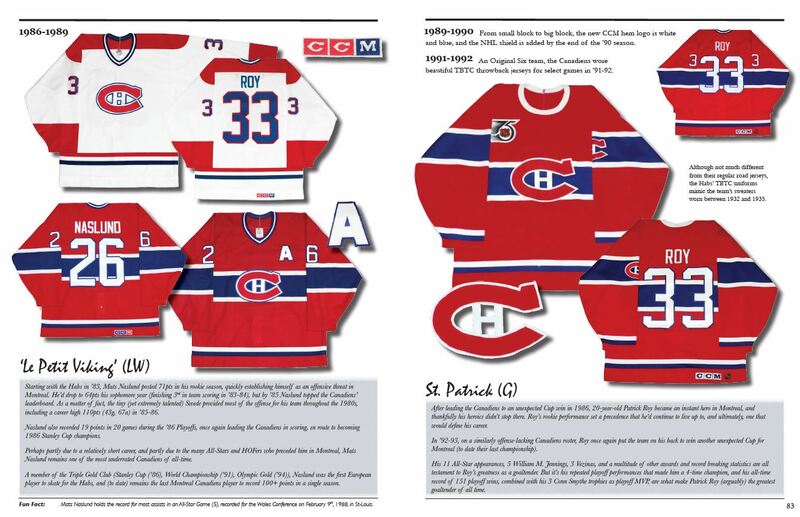 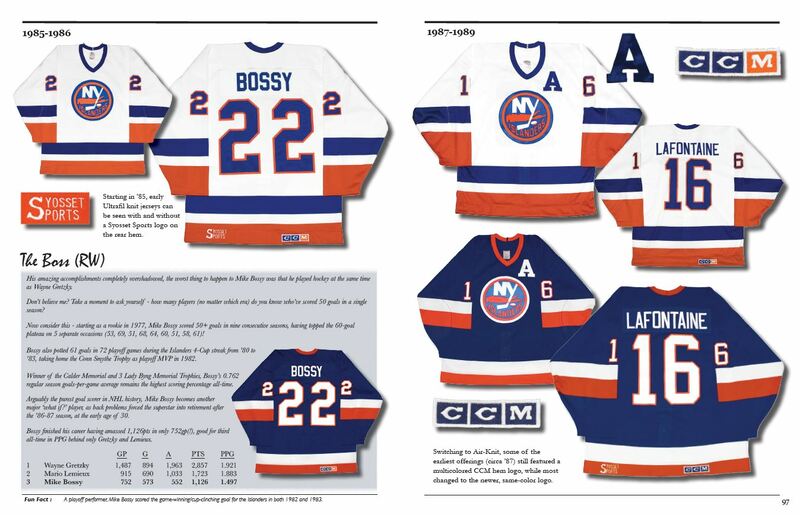 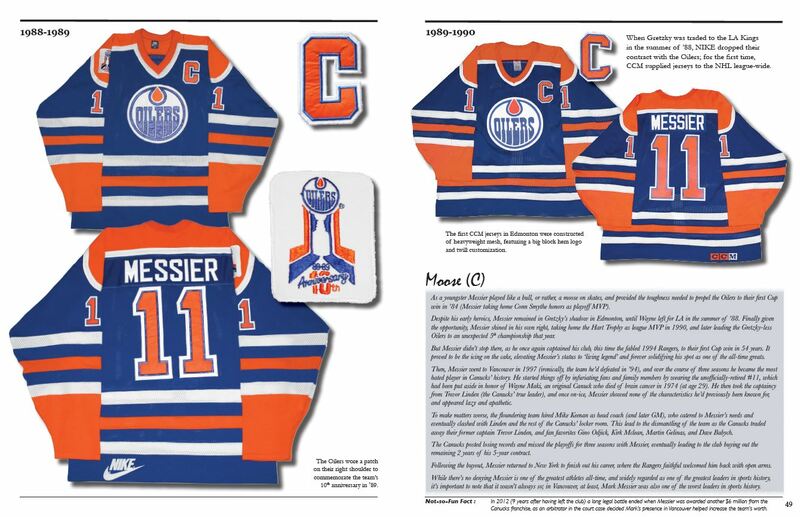 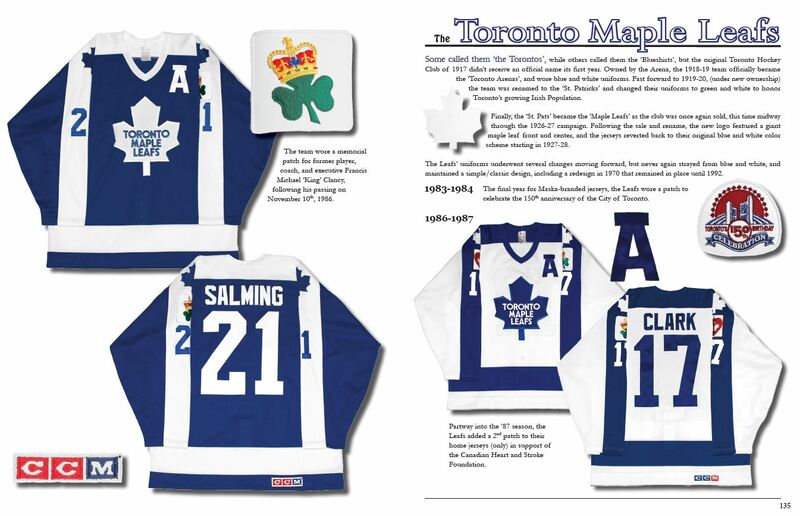 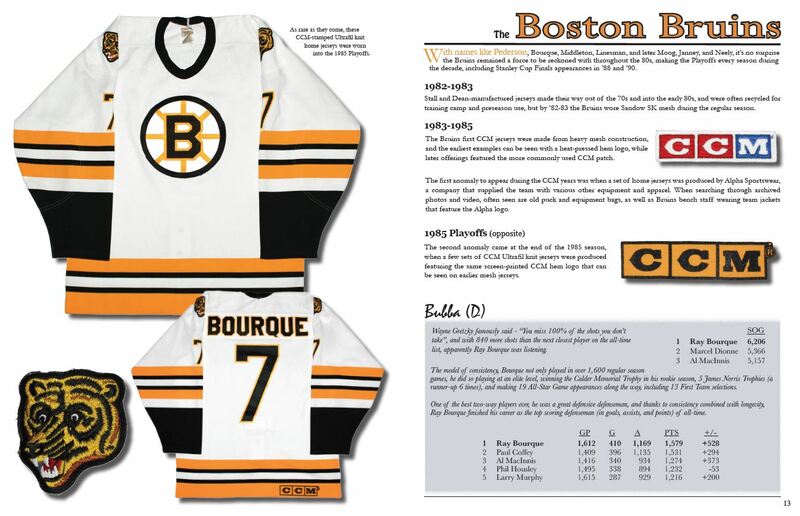 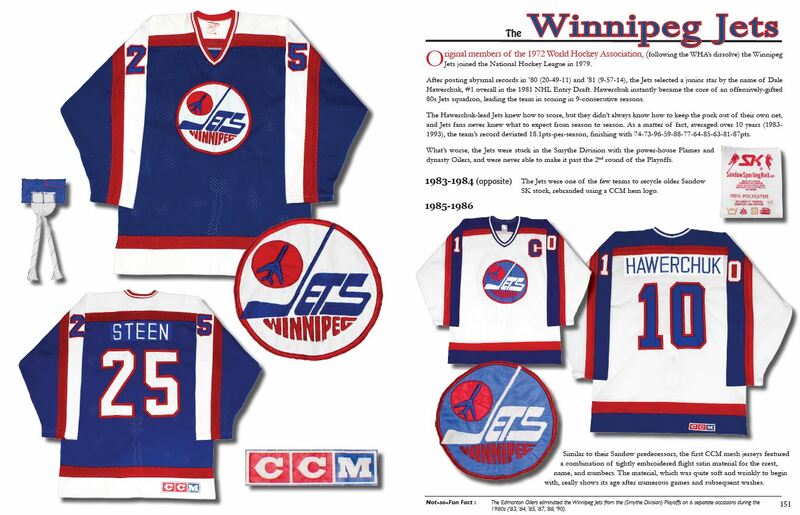 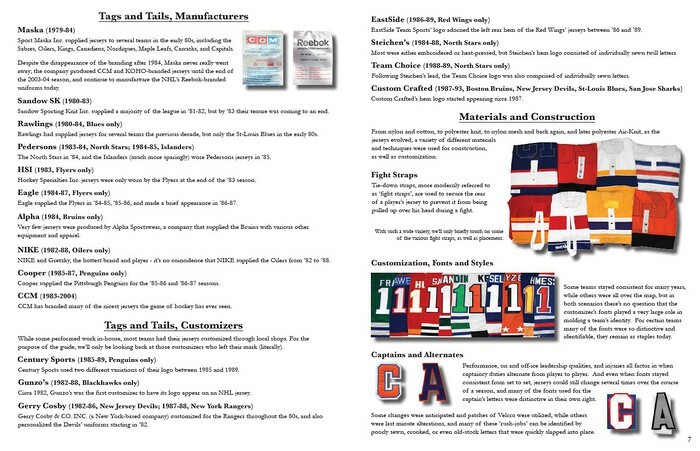 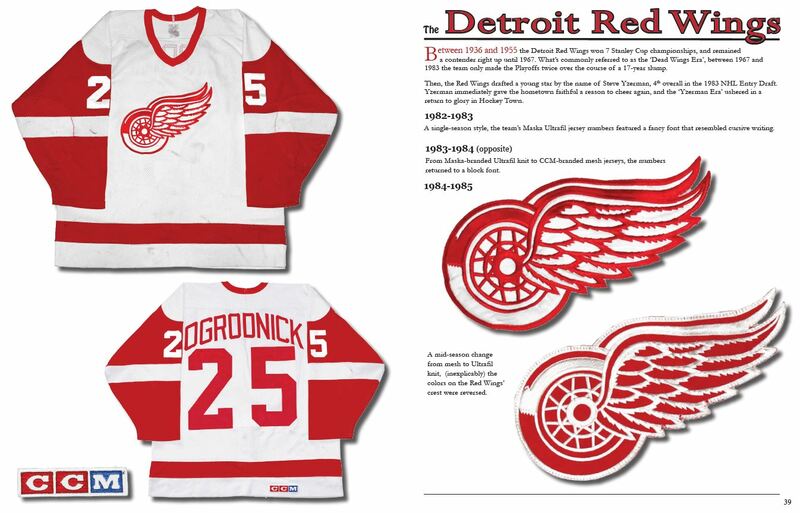 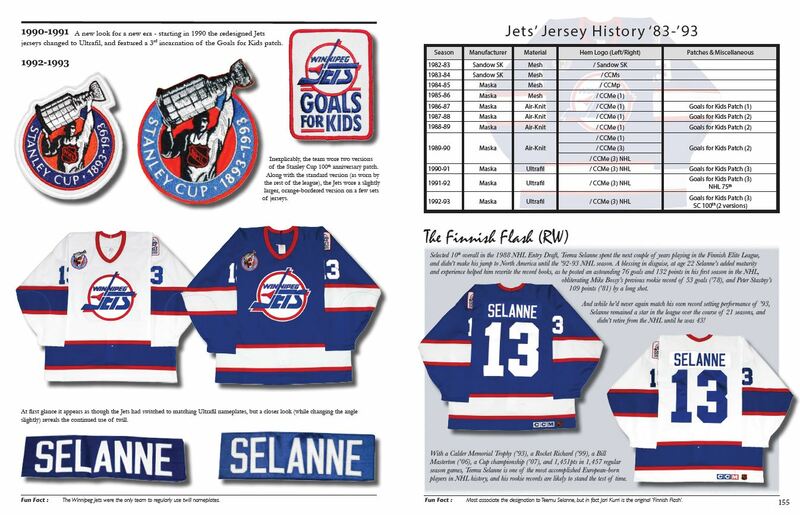 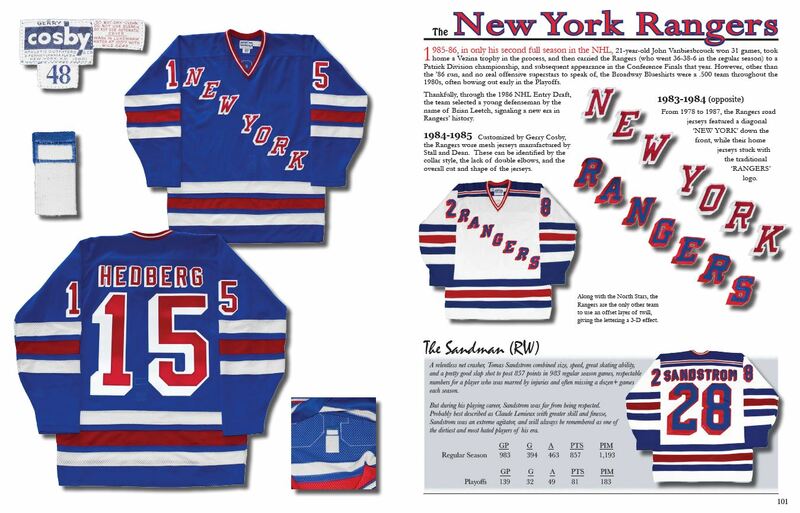 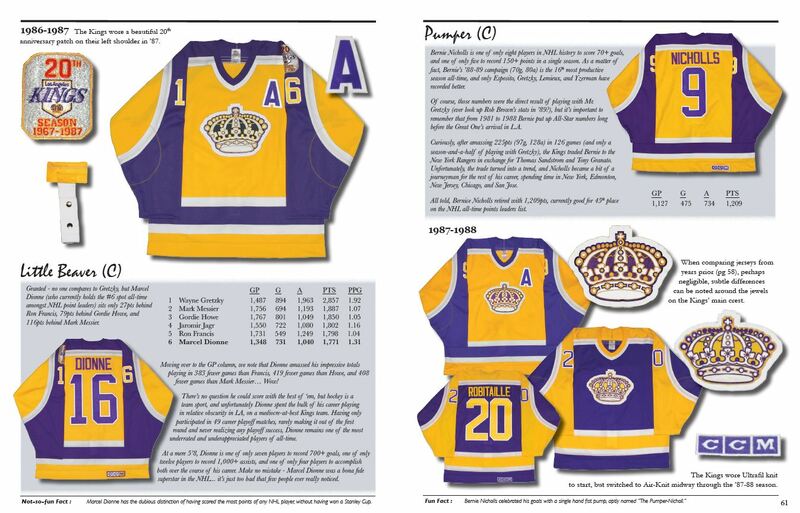 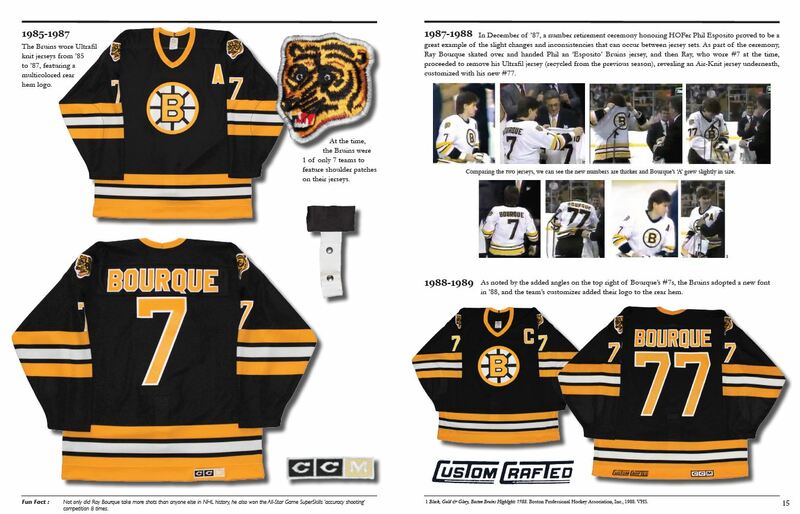 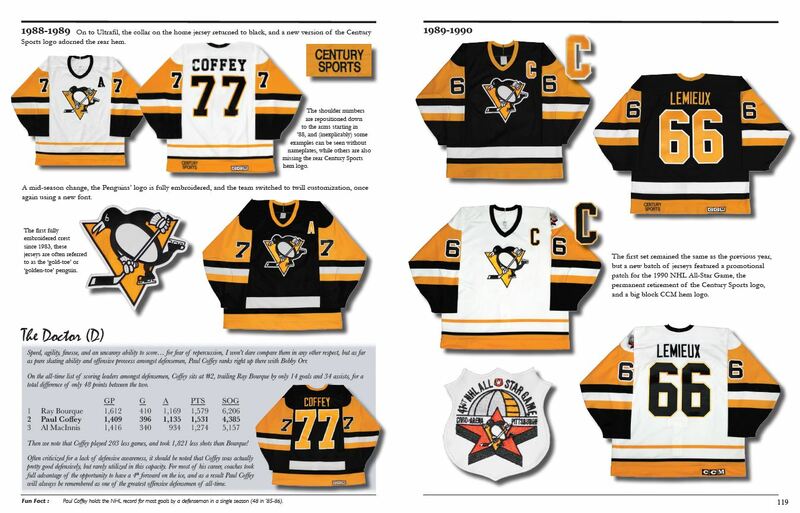 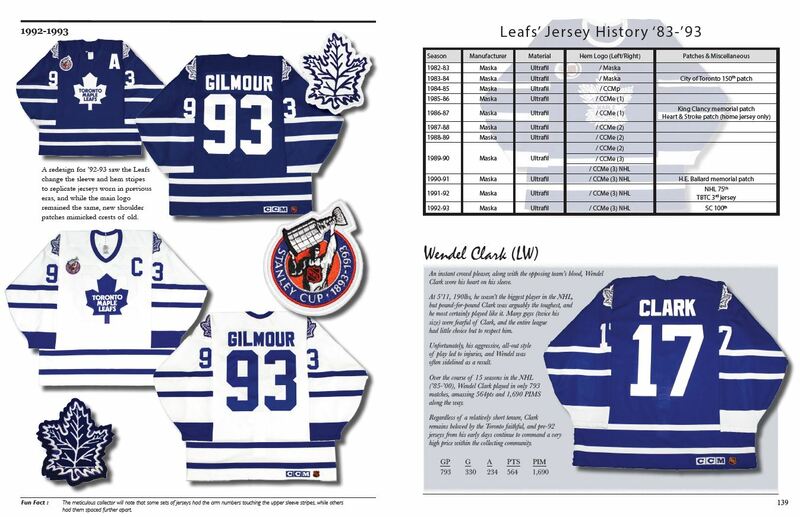 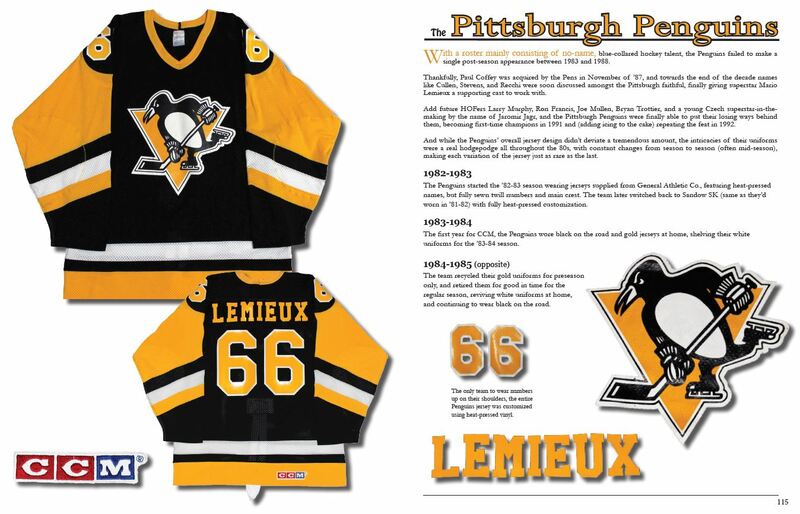 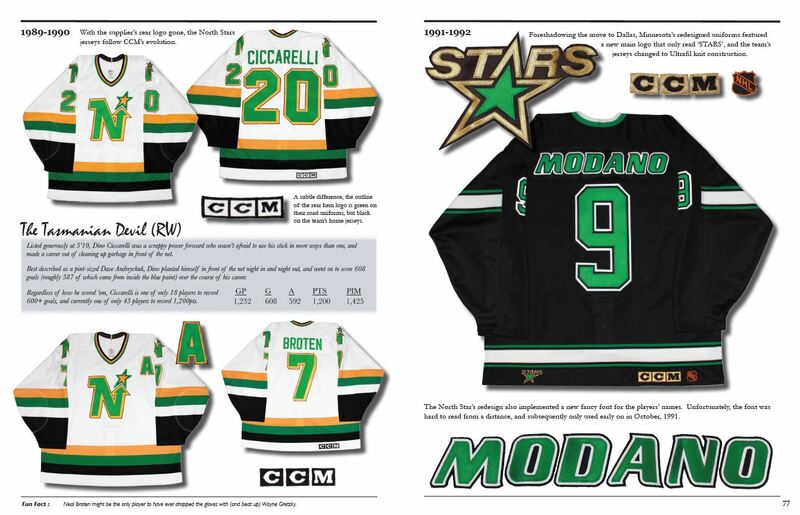 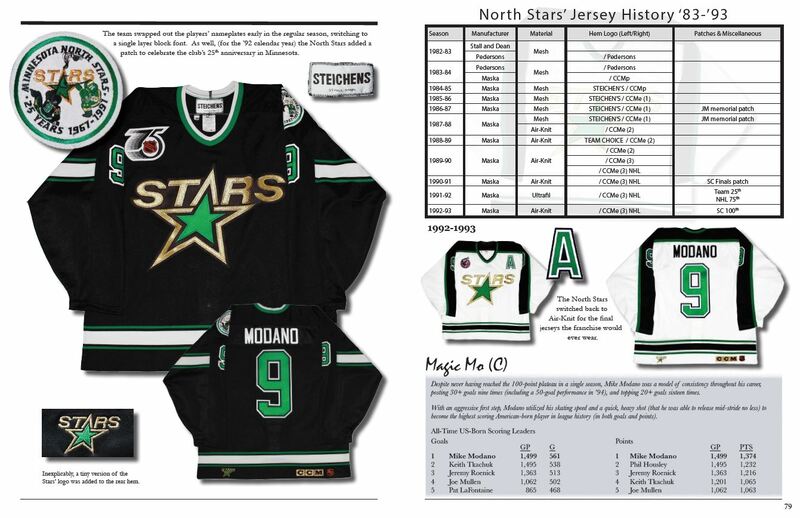 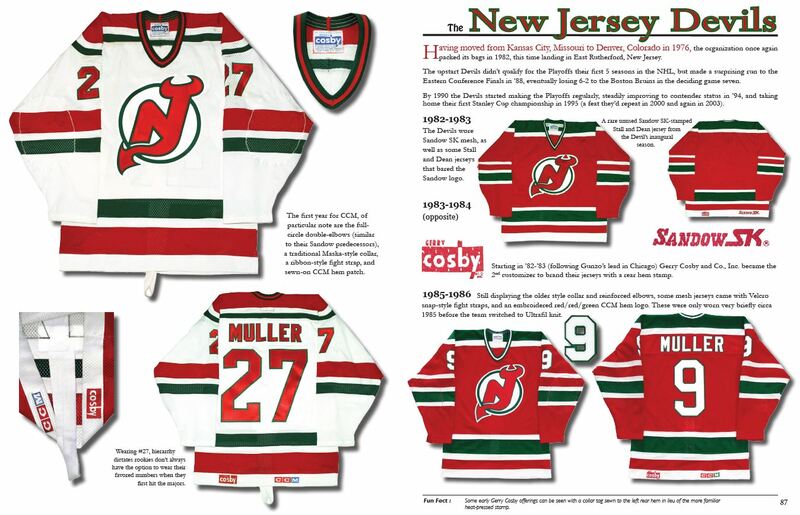 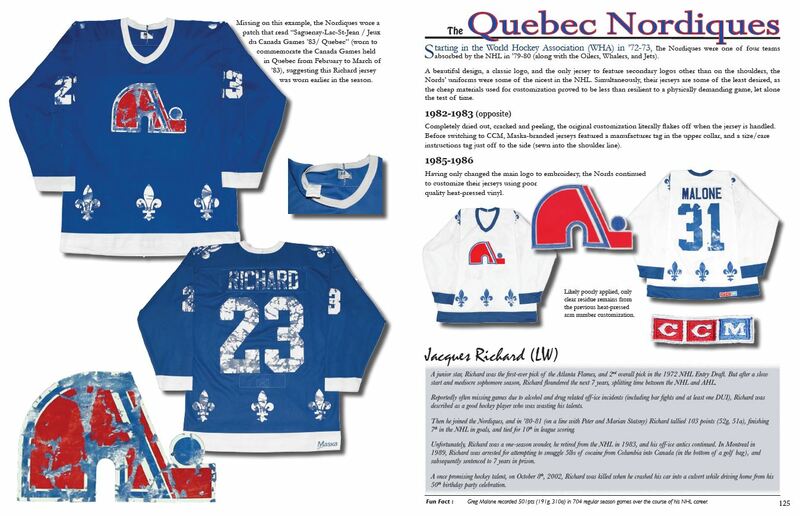 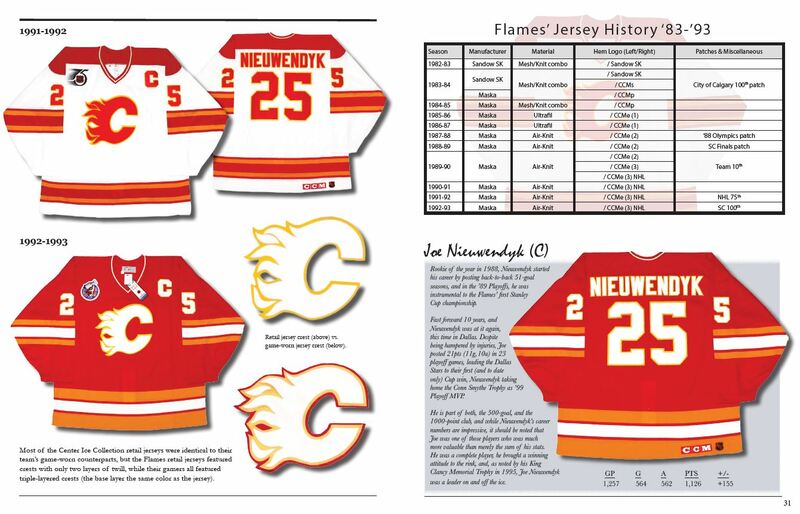 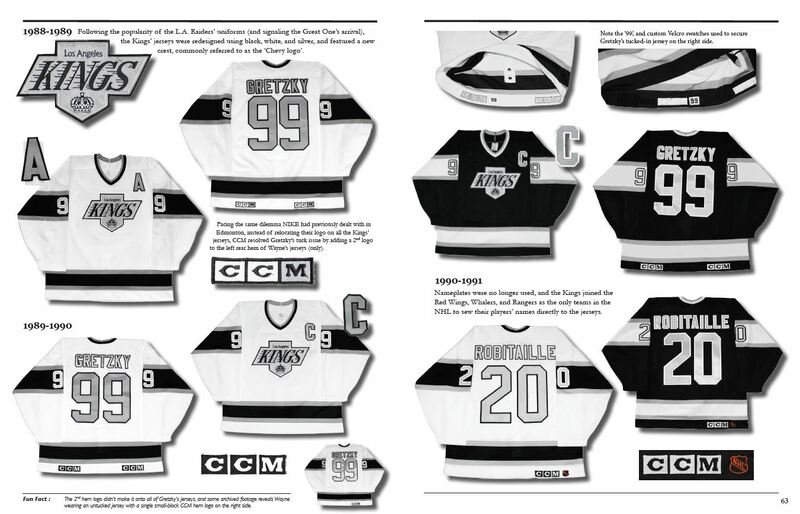 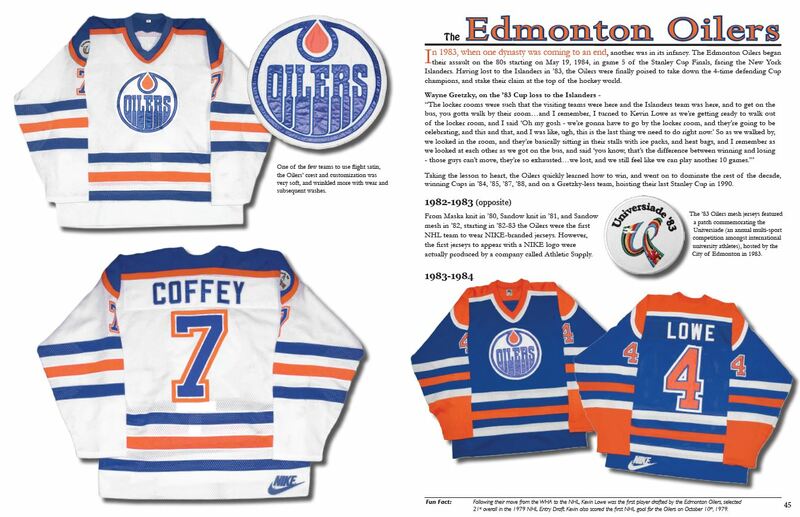 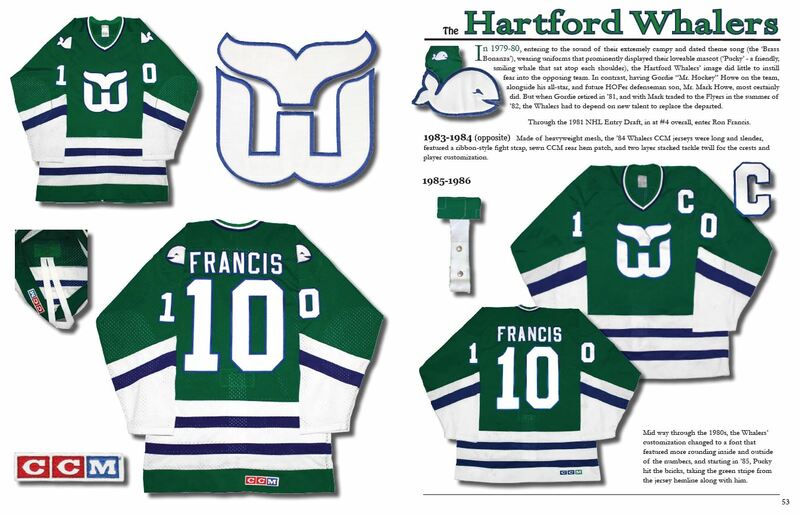 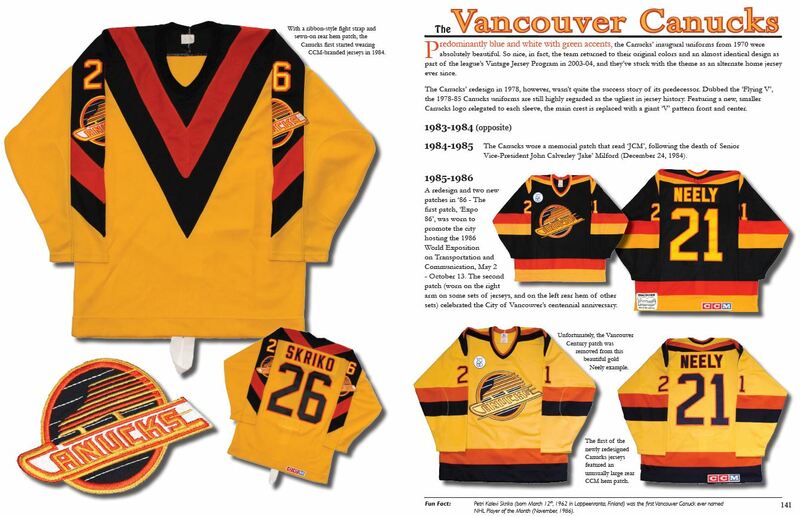 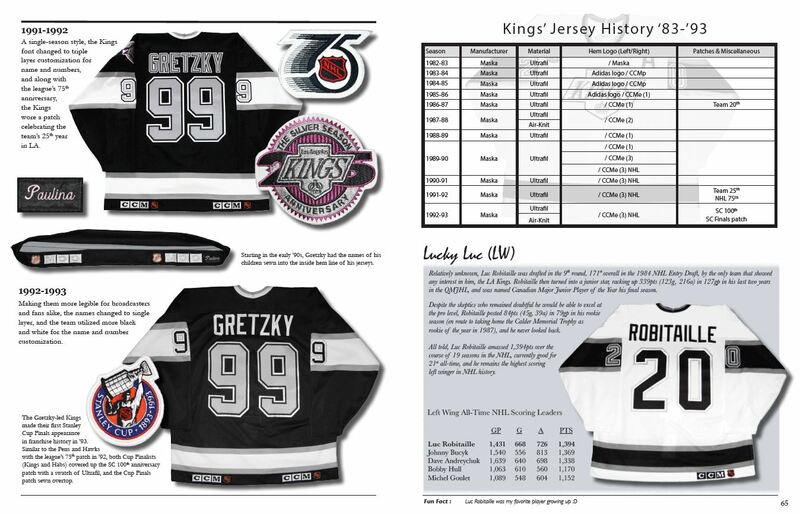 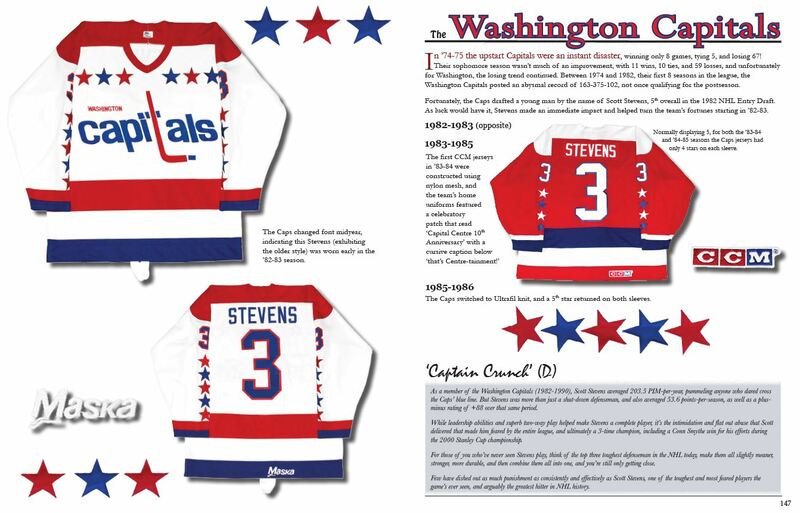 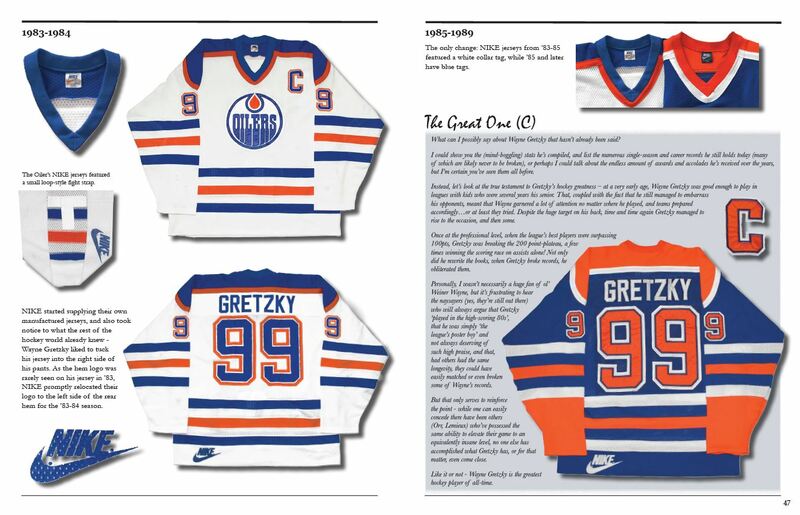 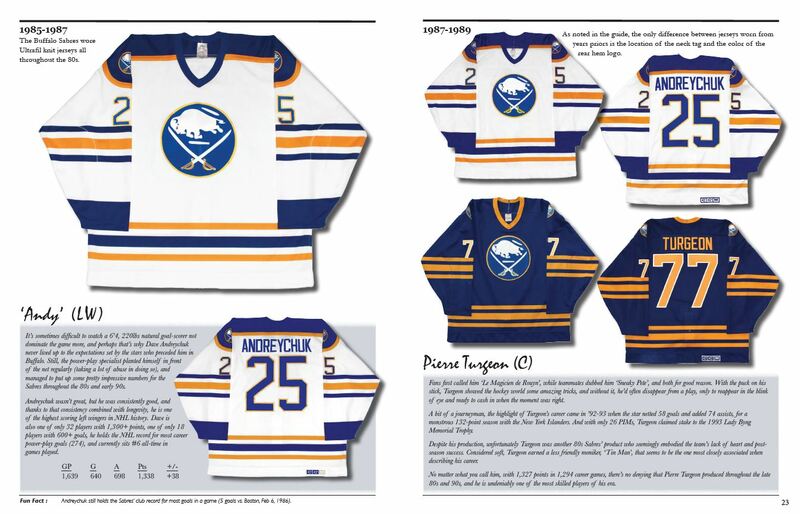 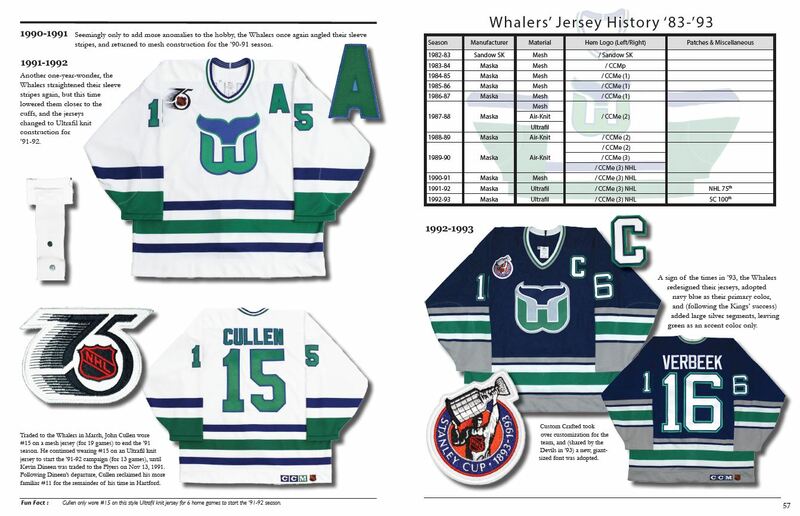 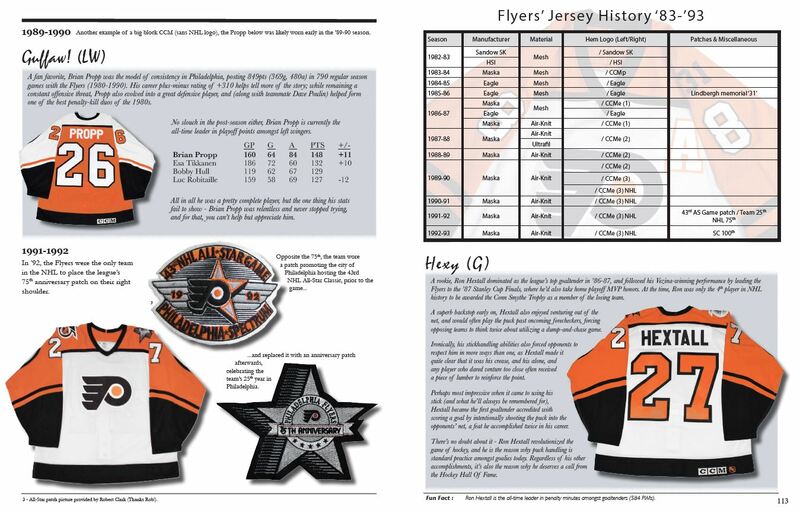 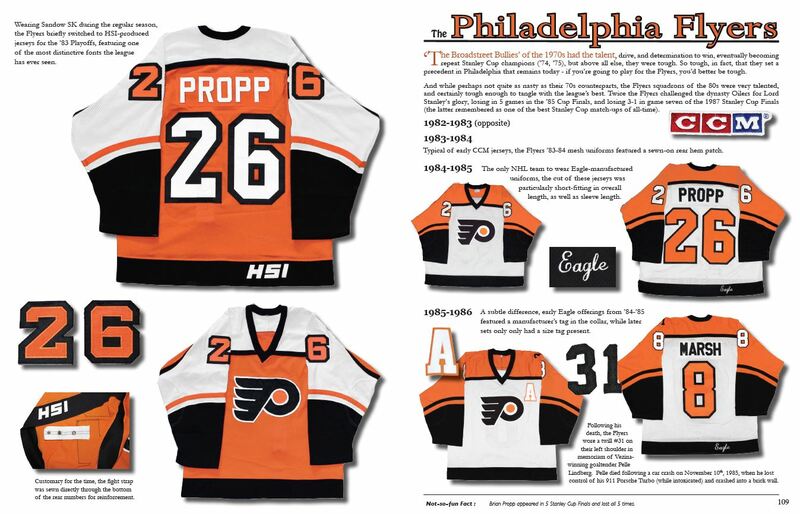 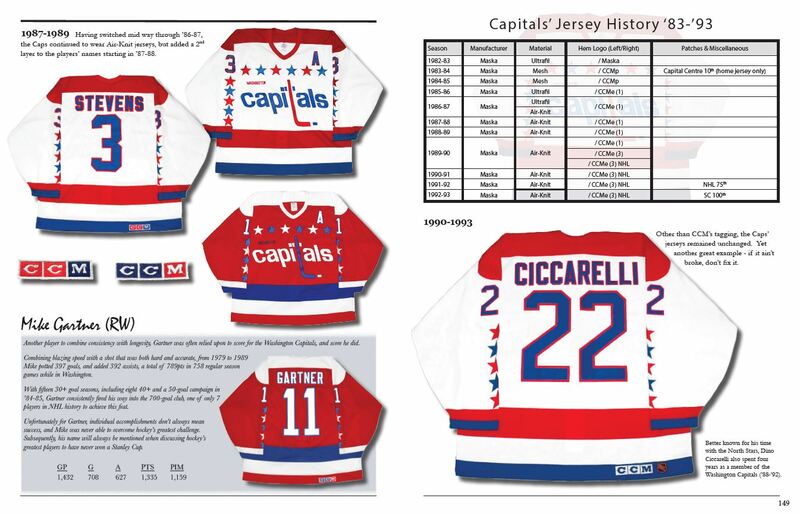 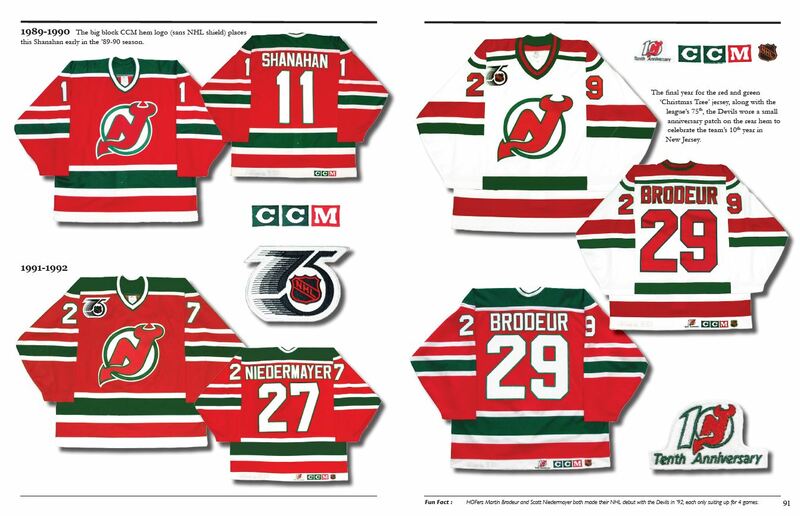 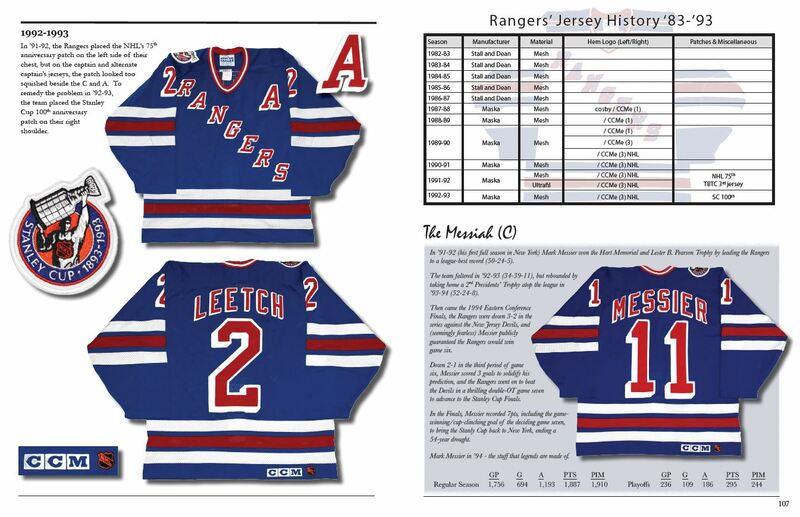 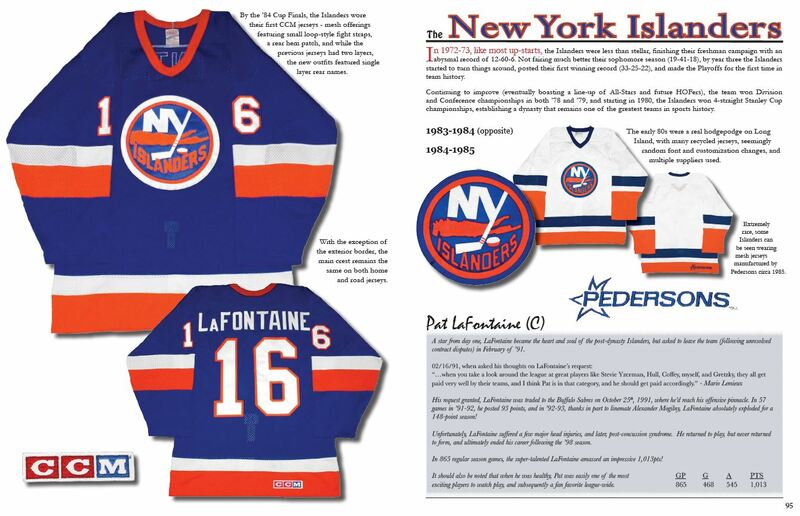 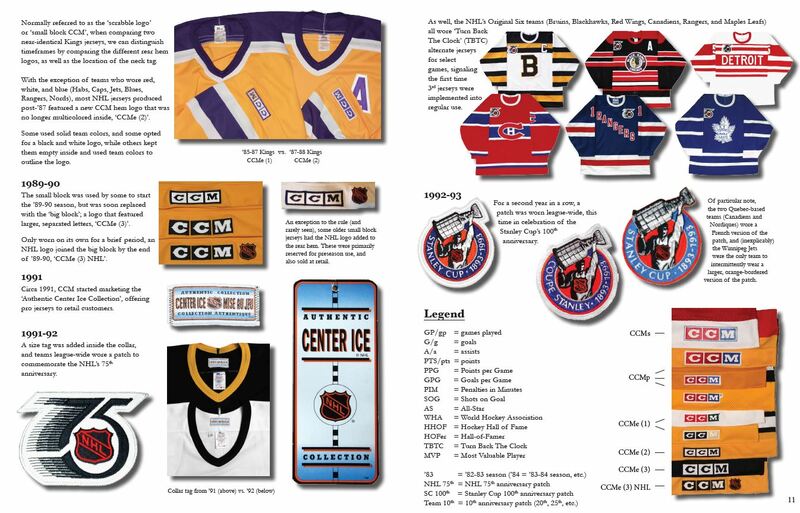 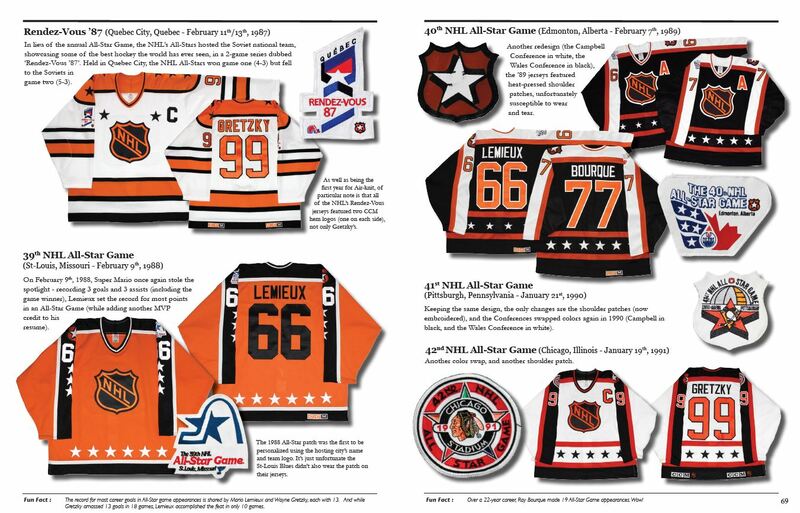 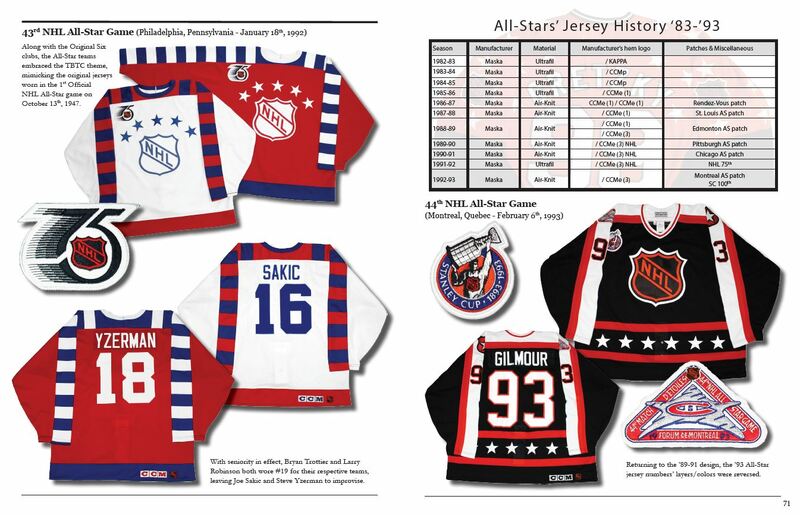 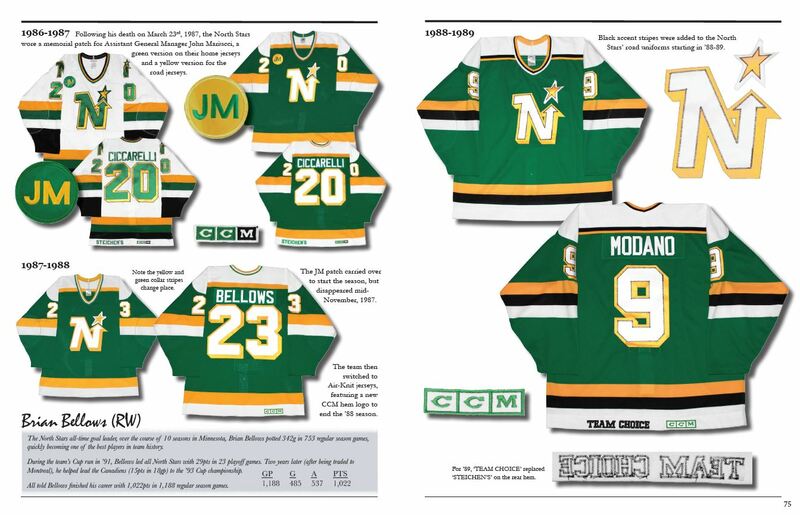 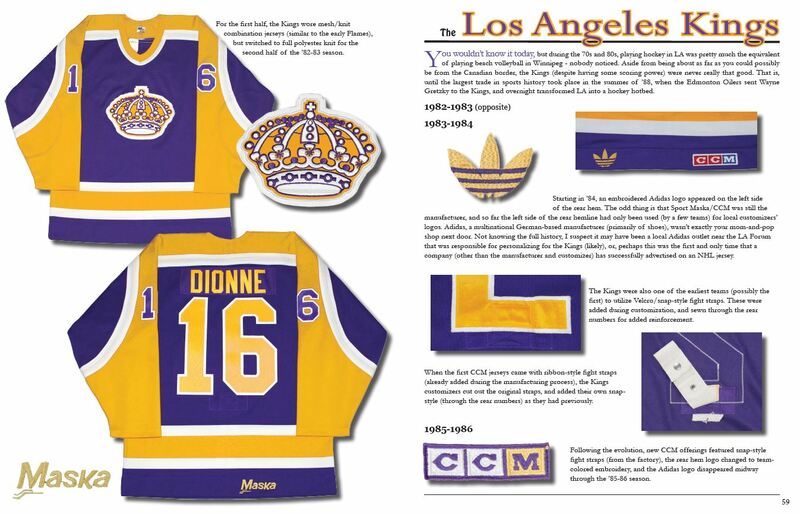 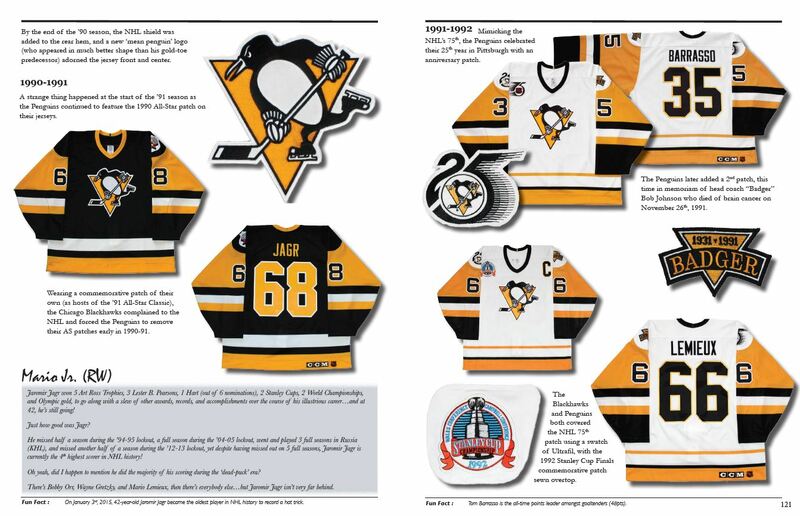 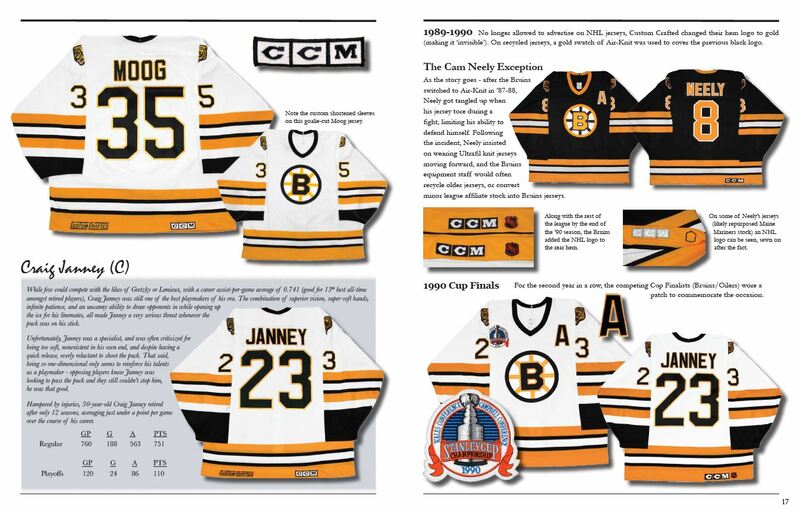 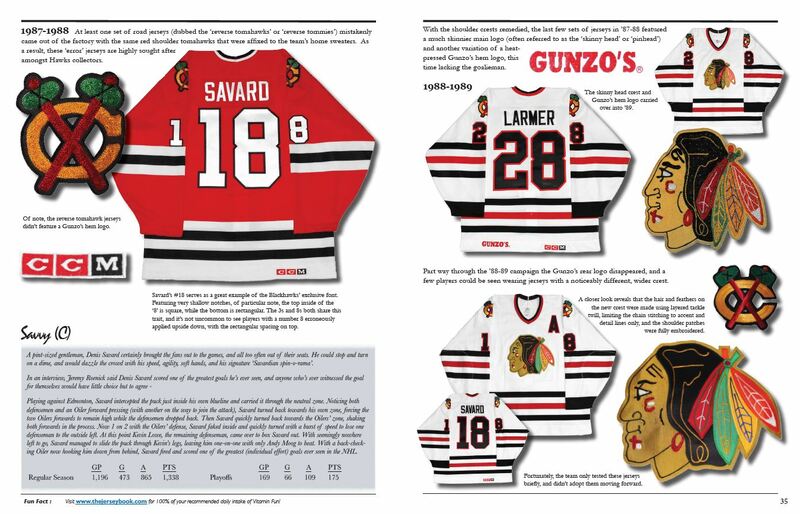 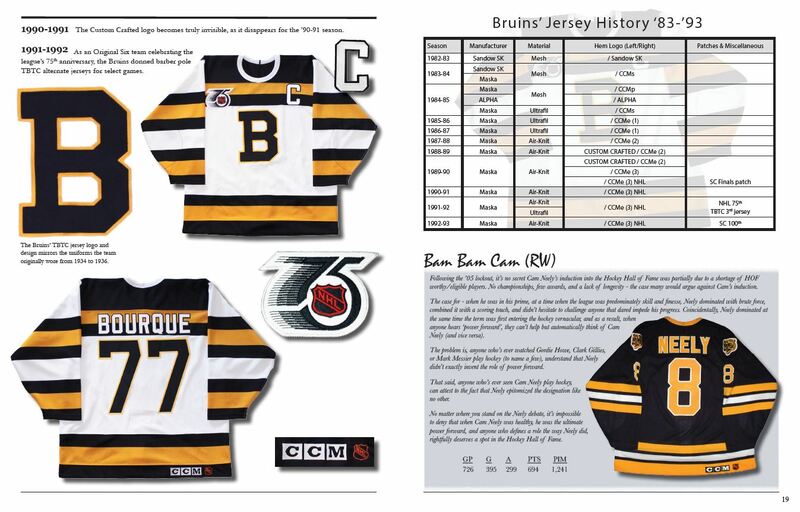 After a brief introduction to the history, the jersey guide serves to outline some of the more common features that are displayed throughout the book, showing readers what to look for when properly identifying genuine, on-ice NHL jerseys. 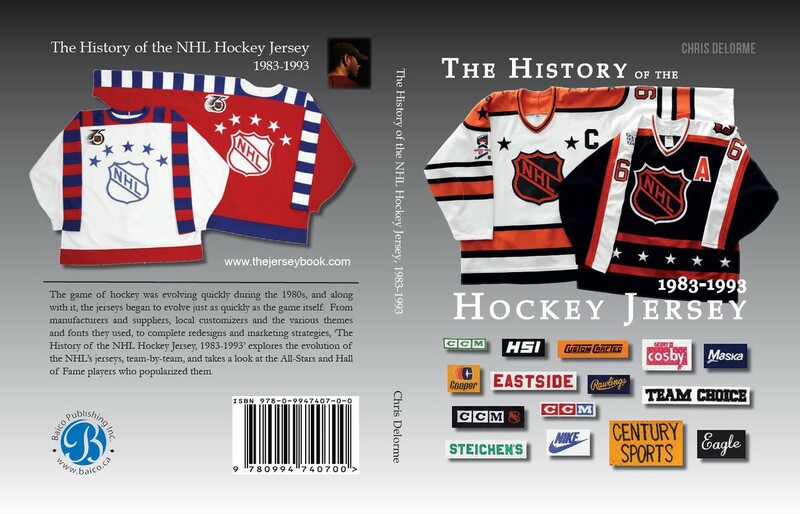 Limited to 1,000 copies, while supplies last.